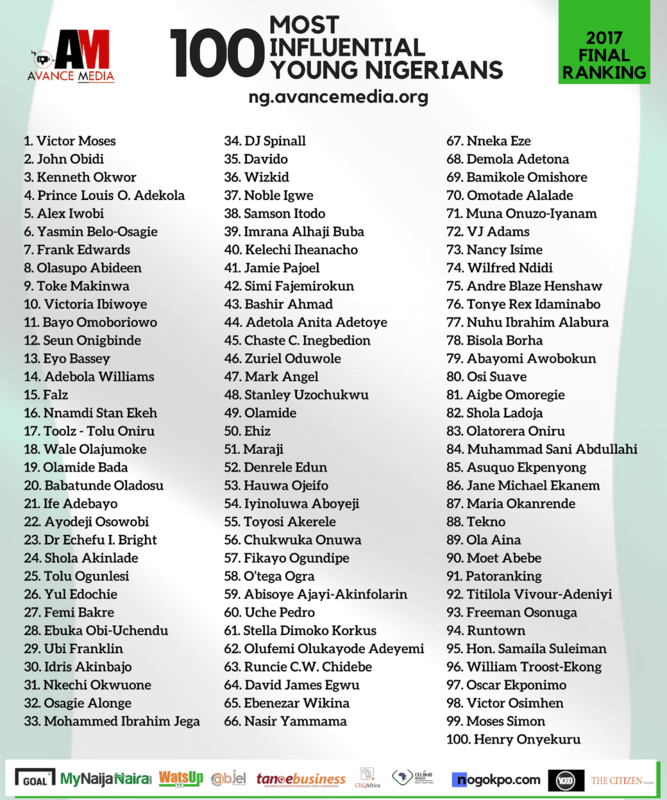 The poll which drew public participation from over 90 countries also voted Motivational Speaker, John Obidi, Templars Law Associate, Kenneth Okwor, Founder of Ambassadors of Africa, Prince Louis Omolayo Adekola and Arsenal Skipper, Alex Iwobi among the top 5 most influential young Nigerians respectively. 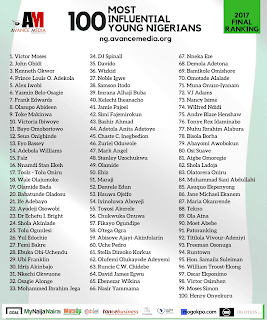 Co-Founder of She Leads Africa, Yasmin Belo-Osagie was also voted as the Most Influential Young Nigerian Woman. 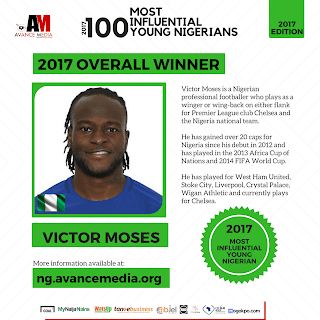 Prince Akpah, MD of Avance Media says he hopes the annual polls will inspire young people to create a positive environment that will encourage other Nigerian youths to excel in their various endeavors. 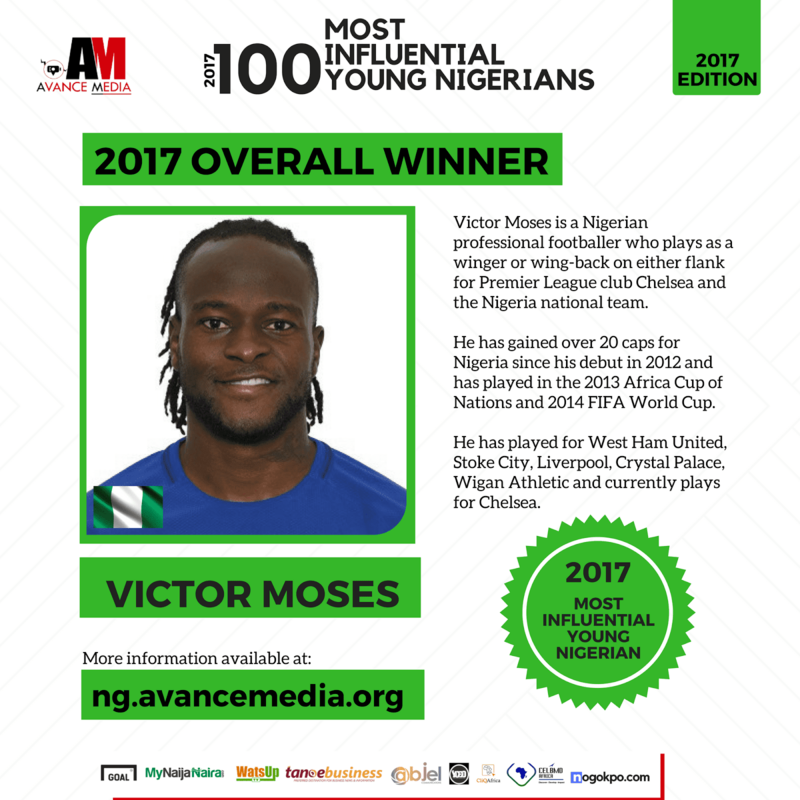 For More information kindly visit ng.avancemedia.org or contact, [email protected] and 0242307379.